Everyone who has seen this quilt wants one. Quilt Vine is located on the Eastern Shore of Maryland. Anything that has to do with the Blue Crab is very popular here. This pattern is best done in blue for a live crab, or orange or red for a steamed crab. This quilt is very easy to make. The patches on the crab are raw edge applique and the edges will fray when washed. This is great for a baby quilt or wall hanging. 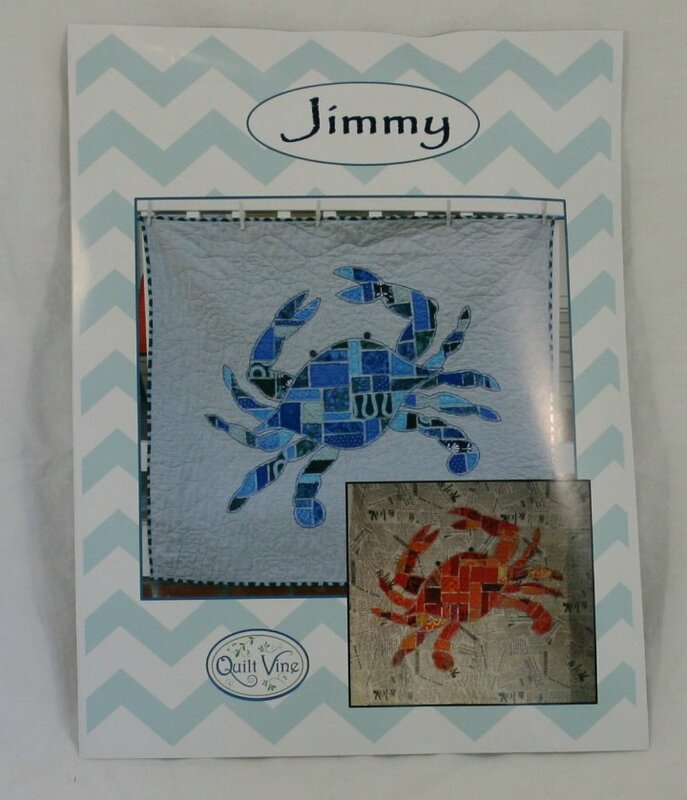 This detailed easy-to-read-pattern includes pictures and a full-sized pattern of the crab. To make this quilt you just need the background fabric and some scraps or a charm pack. JIMMY PATTERN This quilt finishes to 48" x 40"